Plano, TX (Restaurant News Release) It may now officially be the off-season, but Pizza Hut has one more move left in its playbook. Hot off its first Super Bowl as the Official Pizza Sponsor of the NFL, Pizza Hut is saying thank you to the fans that helped make this football season one for the books. 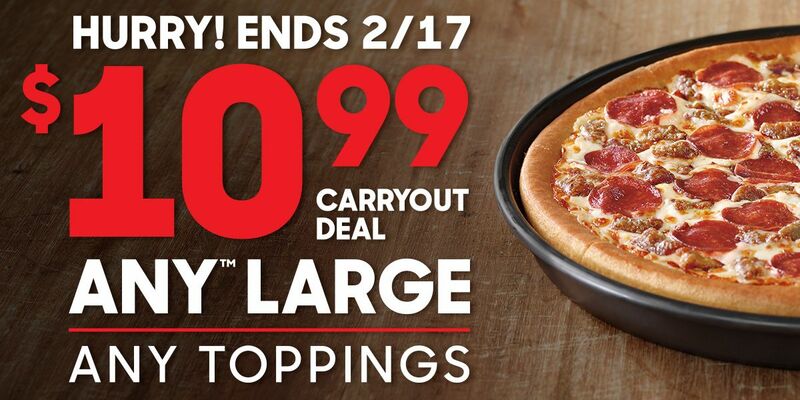 Available today through February 17, pizza lovers can purchase ANY Large Pizza Hut pizza for just $10.99 when they use the promo code “THANKYOU” at checkout. This limited-time offer is valid for carry out only and available for ANY toppings, ANY specialties (including Meat Lover’s® and Supreme) and ANY crust including Original Pan®.